This entry was written by Curtis & Ross, posted on 04/10/2013 at 1:18 am, filed under April 2013 category. 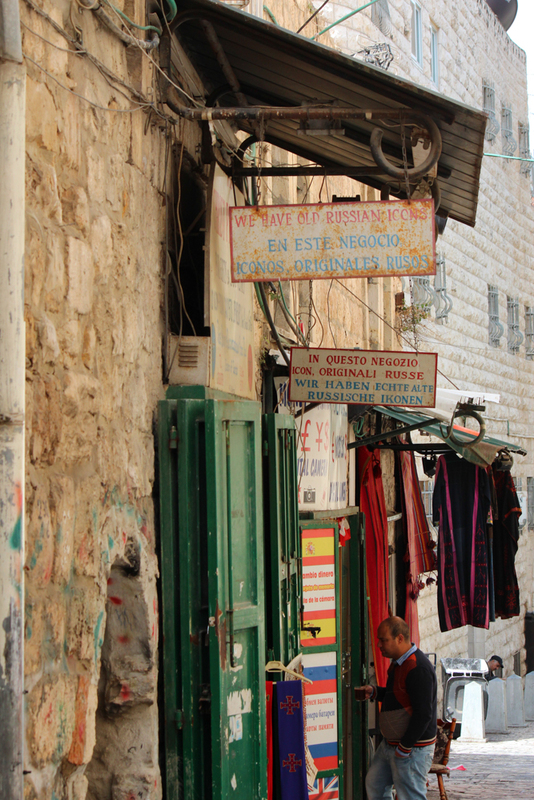 We are now walking in the Arab quarter of the old city on our way to the Pool of Bethesda. 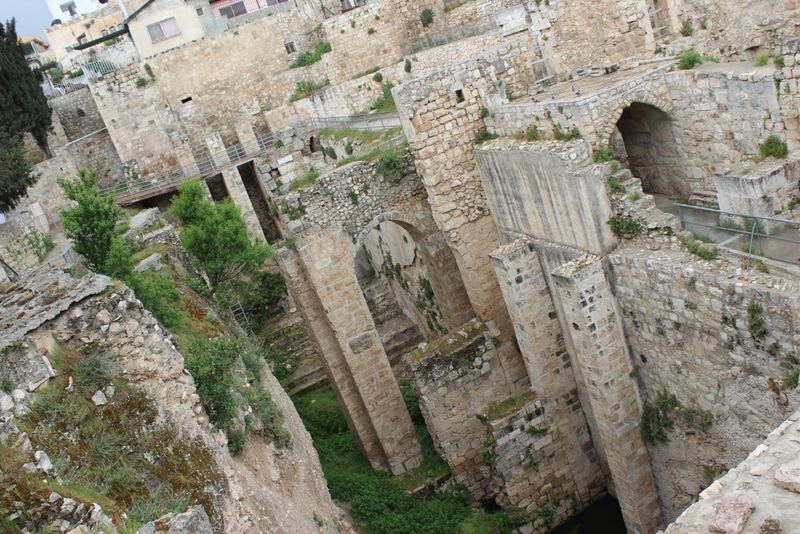 The pool of Bethesda was a public pool known as a place of healing. The legend had it that if you were the first to enter the water after it was stirred by an angel, you would be healed. Jesus came here and healed a crippled man demonstrating that it was by the power of Jesus, not the water that offers hope. 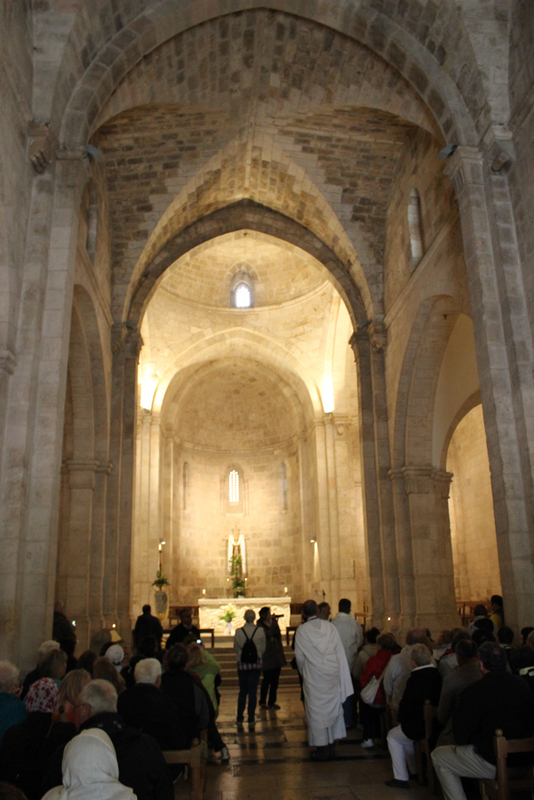 The Church of Saint Anne was built over a grotto believed by to be the birthplace of Mary, mother of Jesus. The church is dedicated to Anna and Joachim, who according to tradition lived here, and is the site where their daughter, Mary, was born. 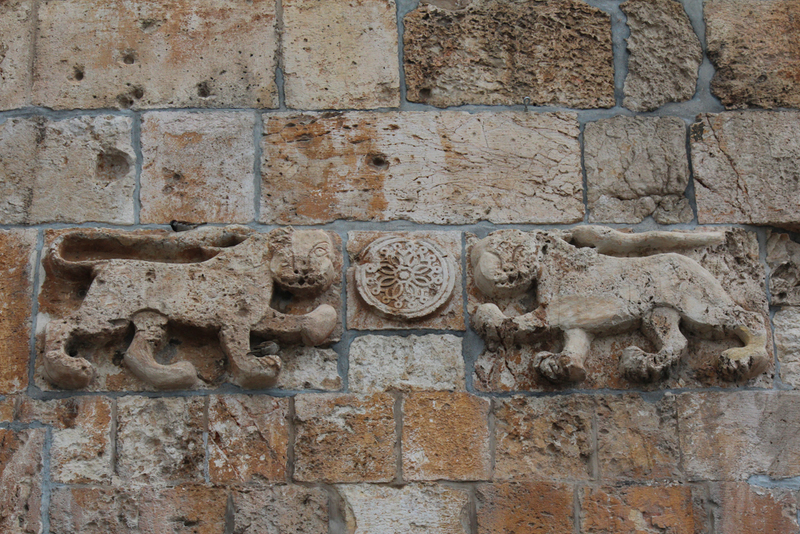 The church was completed in 1138 A.D. making it one of the oldest churches in the world. 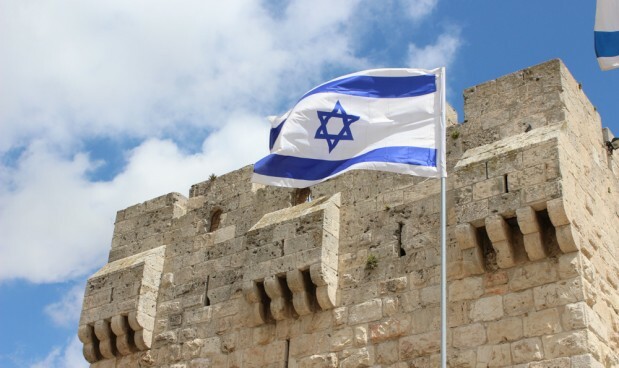 It is one of the very few that survived intact after the many battles for Jerusalem. 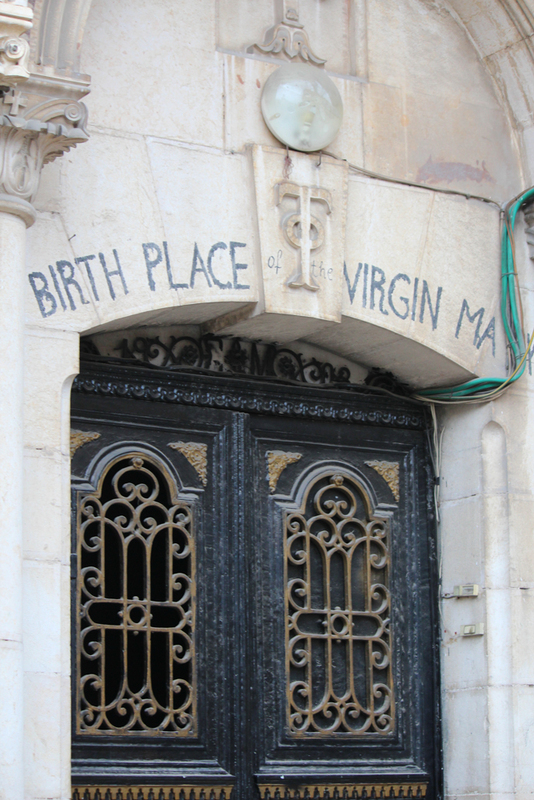 Currently St. Anne’s belongs to the French government and is administered by the White Fathers, an order of the Catholic Church named for the color of their robes. The acoustics here are nearly perfect as we listen to a solo of Were You There by John Van Cura. 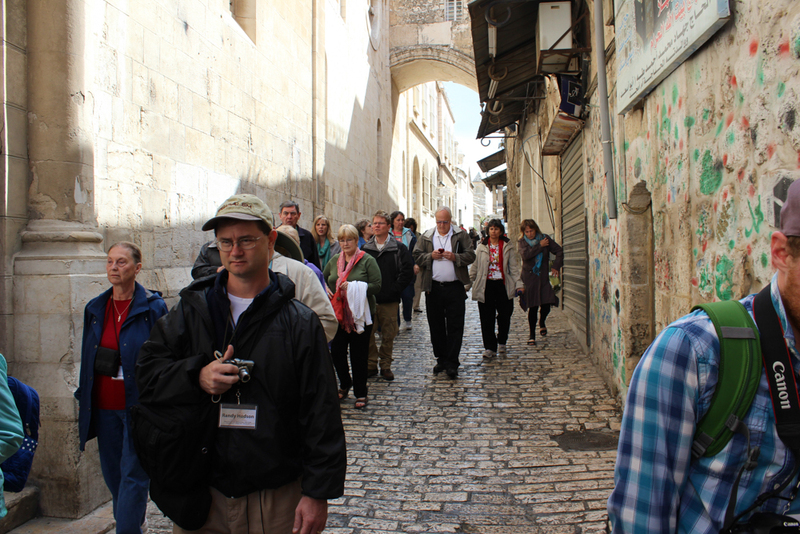 While we are still in the Arab quarter, we visit a site beneath the streets known as “the place of the pavement,” or the Praetorium. 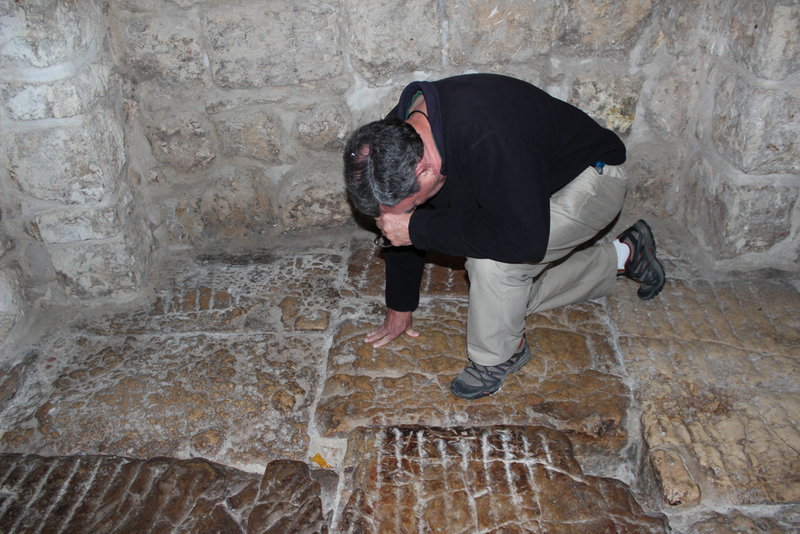 This is the very spot where Jesus was brought here before Pilate. 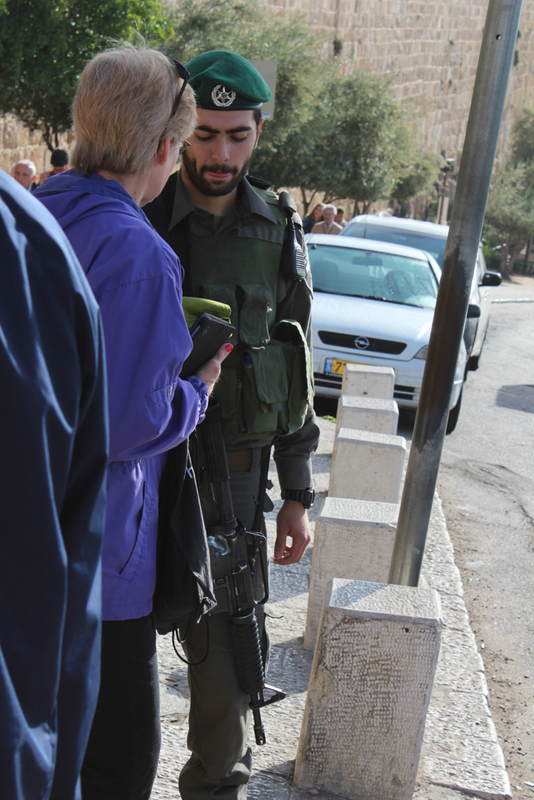 We are now on the actual pavement where Jesus stood. He points out that at Passover there would have been many people in Jerusalem from many countries. It could have been our ancestors who cried ‘let the blood be on us and our children’. That blood is either condemnation for those who reject Christ or redemption for those who accept Jesus as the Messiah. From this place a weary and already beaten Jesus would be mocked, scourged and then led away to Golgotha and His crucifixion. It is truly awesome to realize where we are standing. 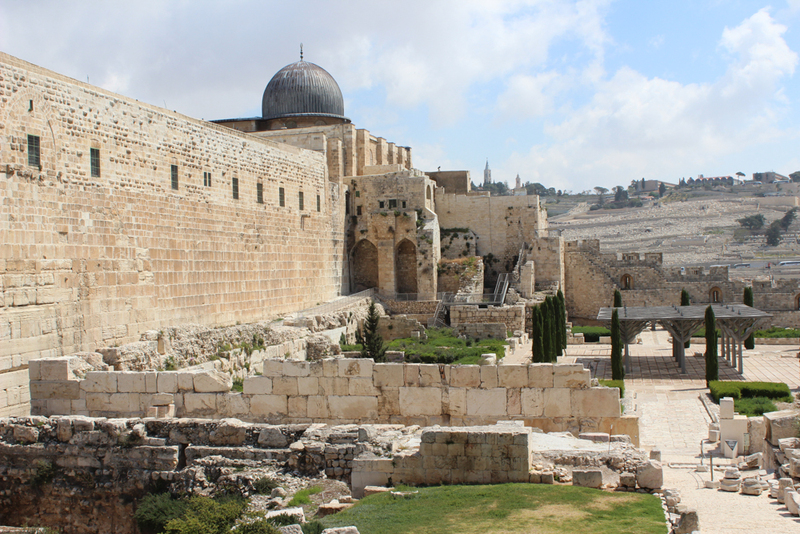 The Western Wall of the Temple Mount in Jerusalem is the holiest of Jewish sites, sacred because it is a remnant of the Herodian retaining wall that once enclosed and supported the Second Temple. 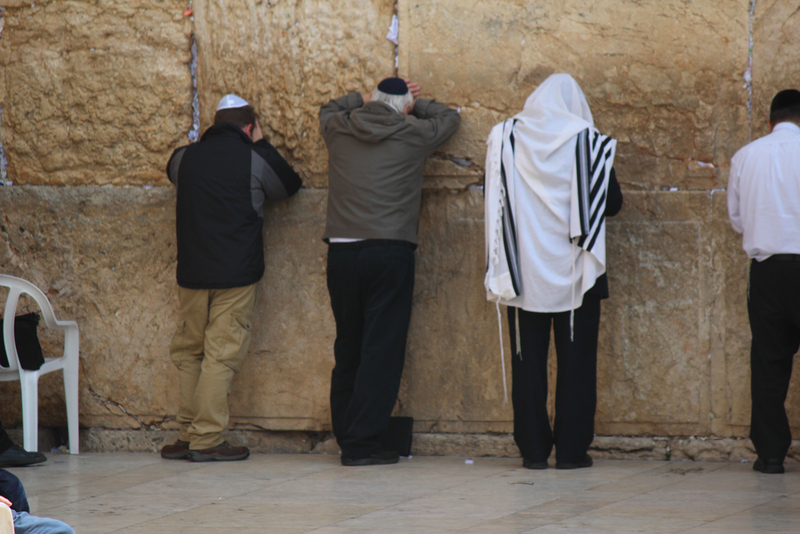 It has also been called the “Wailing Wall” by European observers because Jews have gathered here for centuries to lament the loss of their temple. 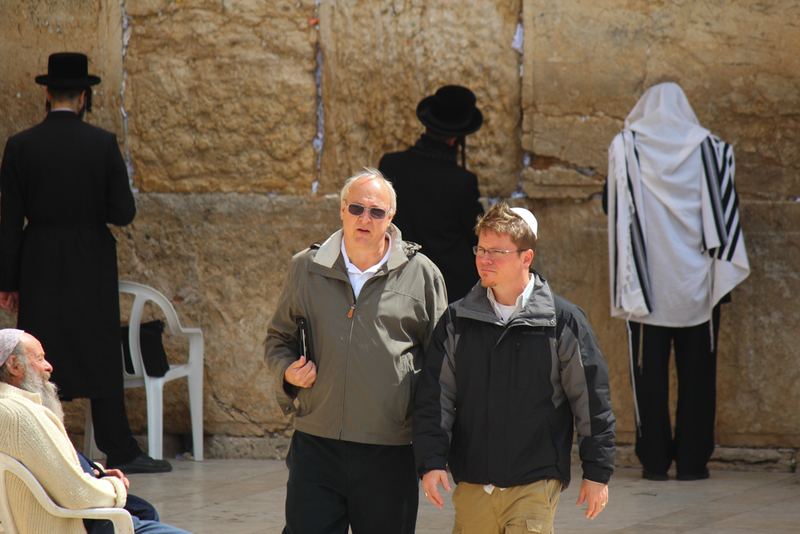 Mark encourages us to go and pray for Israel and for the Jewish people here. To go to the wall, our group divides – the men go to the left and the women go to the right. 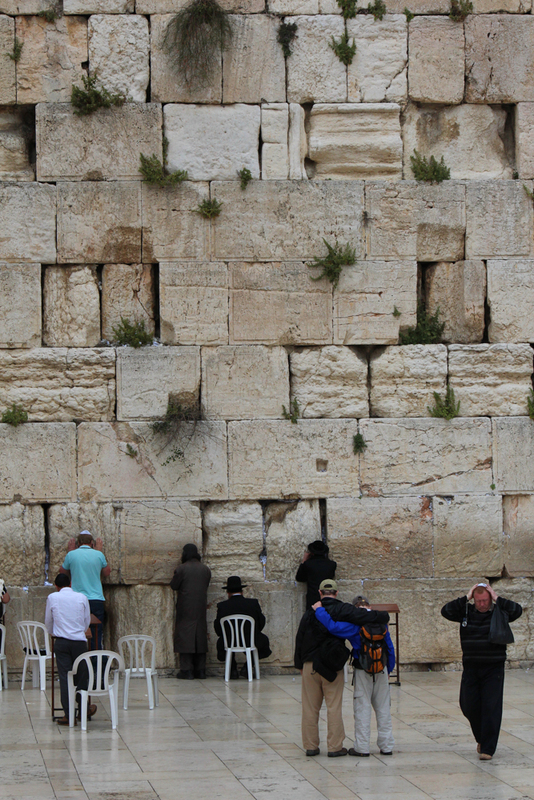 When we reach the wall, we see the many written prayers people have placed in the cracks. 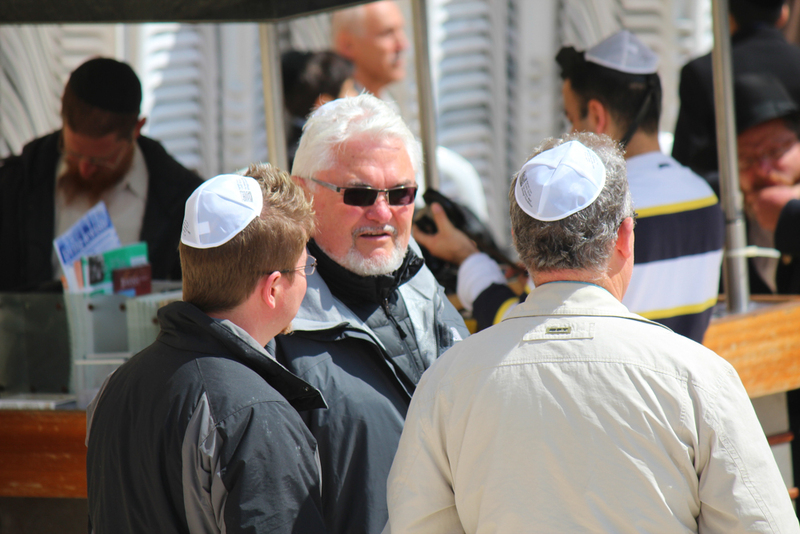 We offer our prayer as we hear the whispers the prayers of the many Jews who come here to pray. 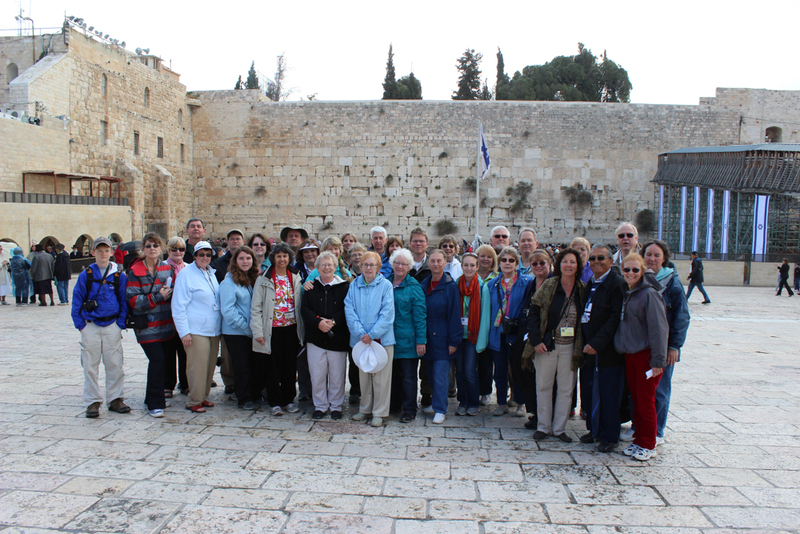 After our time oat the Kotel, Avi leads us over to the ancient entrance to the Temple Mount known as the Southern Steps. 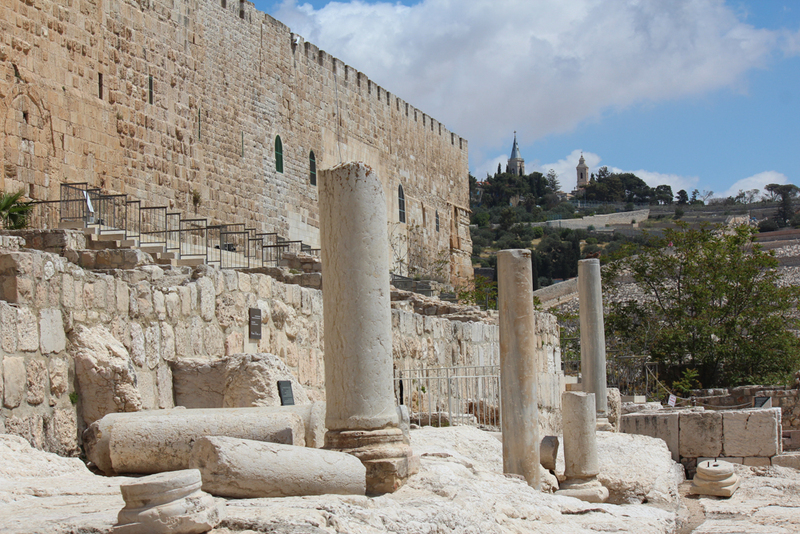 This is where all those making pilgrimage to Israel during the feasts would have entered the Temple Mount. 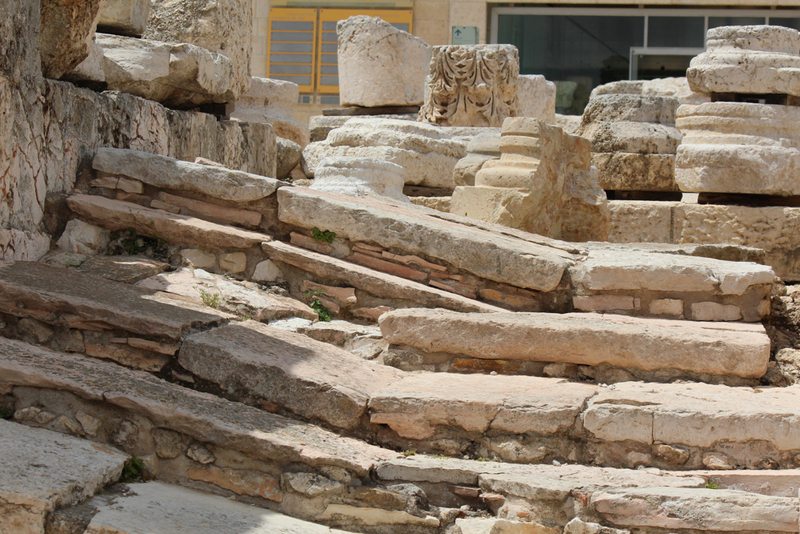 There are remains of many ritual baths in this area. You had to be clean to enter the temple grounds. We walked to the top of the very steps that Jesus probably walked and then posed for a picture before going to lunch. We went to the Armenian Quarter for lunch, which was delicious. 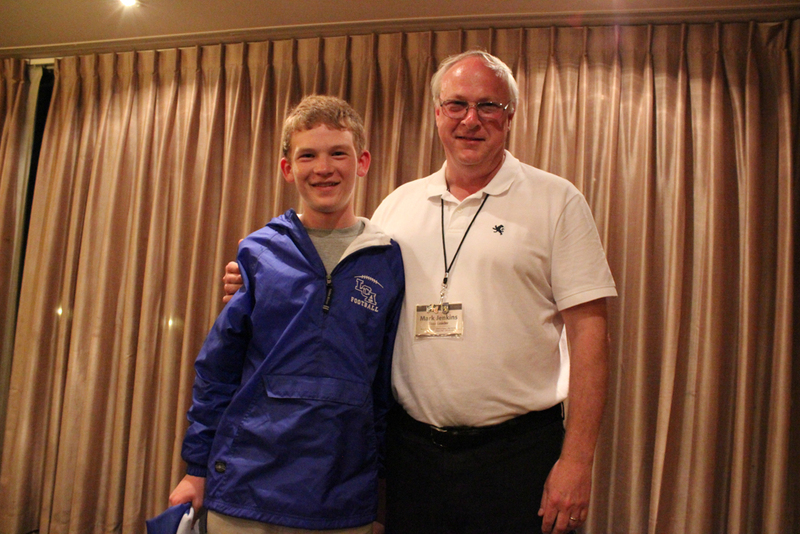 Mark had arranged for a special guest speaker. 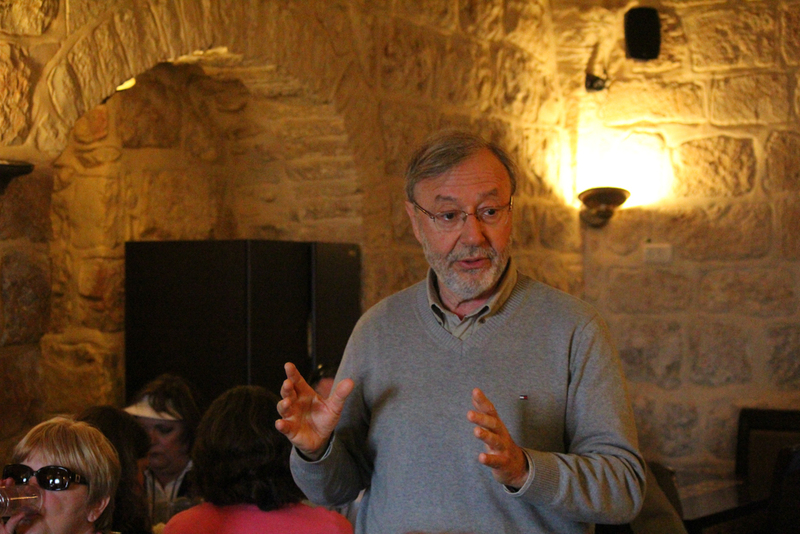 Tom Zuwicki, from the American Israel Education Foundation (AIEF) came and spoke about Israel security issues. He also told us a little about what his organistion does. 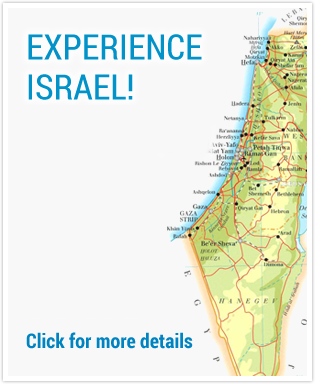 Tom said their purpose is to maintain and further the relationship between the United States and Israel. He works with both sides of Congress in order to educate them about Israel. This was a pivaigde to hear him speak. 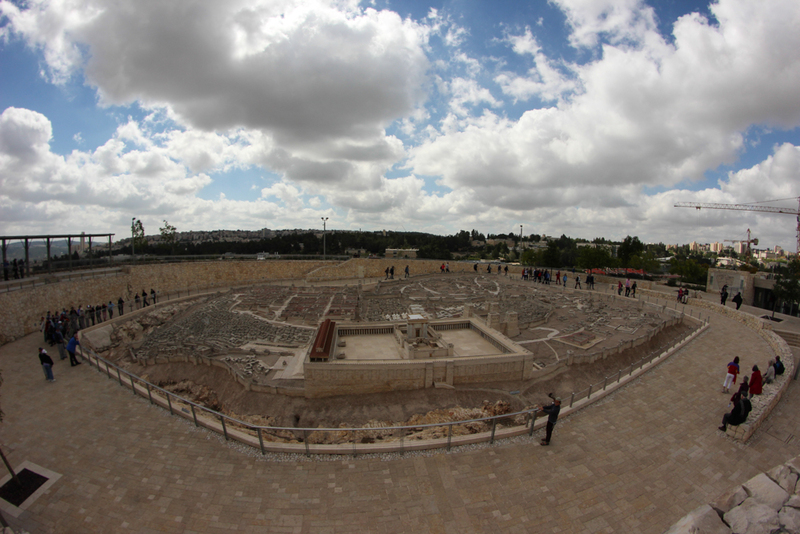 After luch we quickly head over to the Israel museum of antiquity and to the model city. Avi showed us a detailed replica of the city of Jerusalem as it existed at the time of Jesus, which has become a cultural landmark. He pointed out key areas of the model city. This 1:50 scale model helps to put in perspective the many sites we’ve explored. We walked through the Shrine of the Book, which is home to the Dead Sea Scrolls and rare medieval manuscripts of the Hebrew Bible. We then went into the Israel Museum of Antiquity. 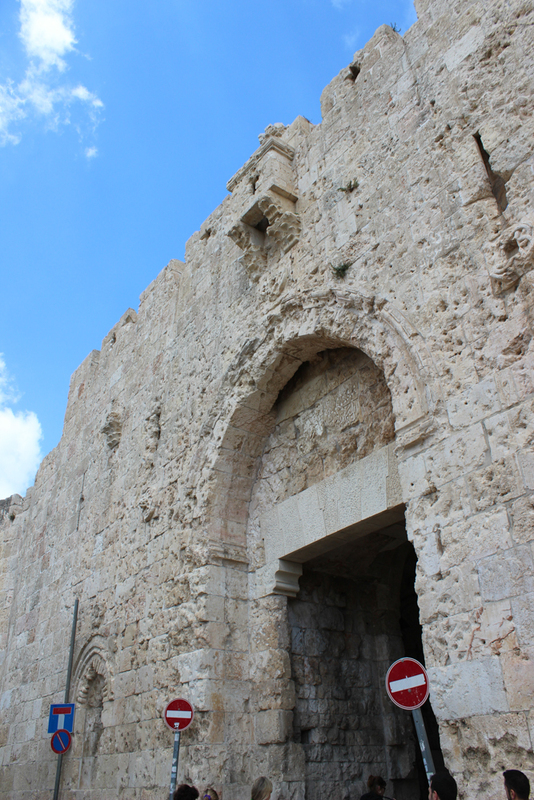 Avi promised us a special treat and it was: an exhibition dedicated of the building projects of King Herod. 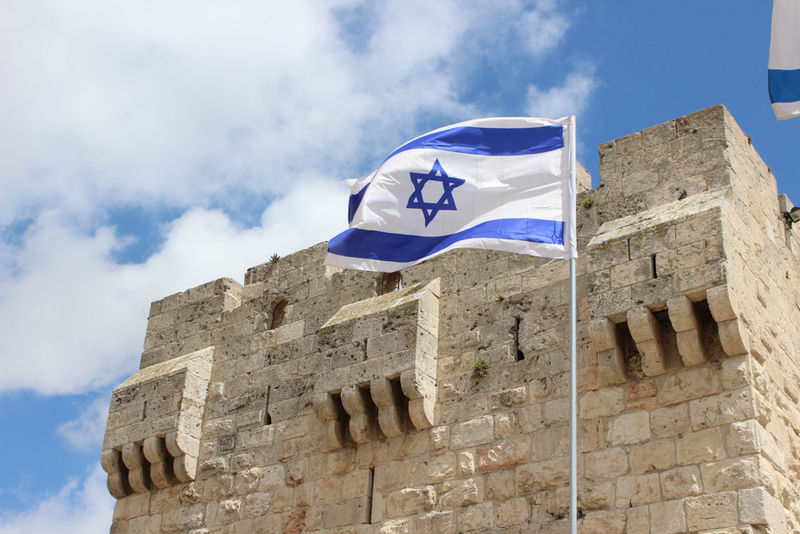 He was Israel’s greatest builder and one of the most controversial figures in Jewish history. 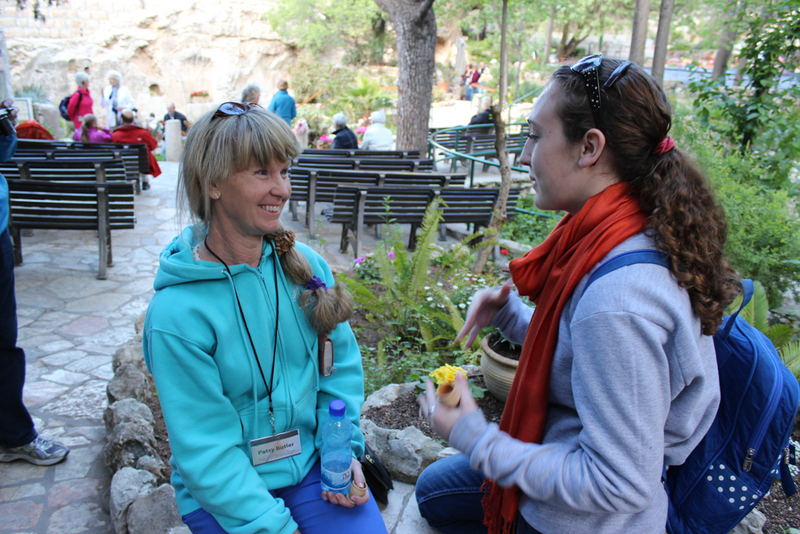 Our last stop of the day, but one the most moving was at the Garden Tomb. 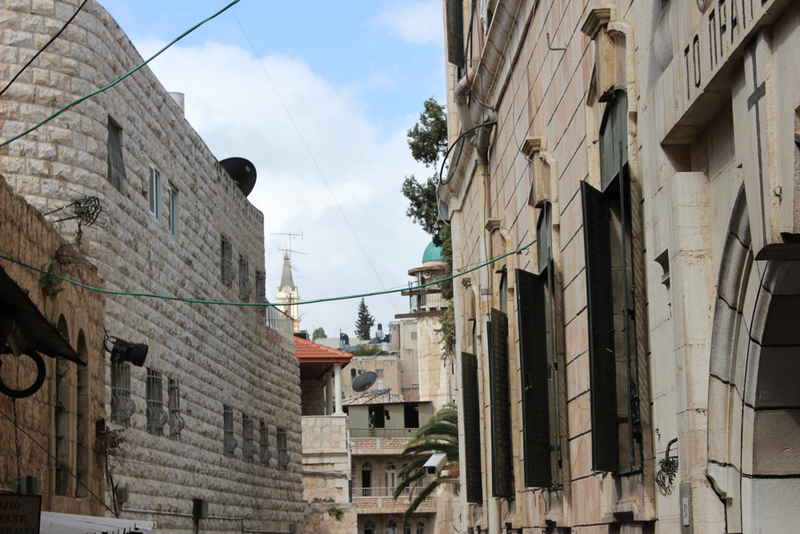 It’s an acre of land just outside the Damascus Gate of the old city. 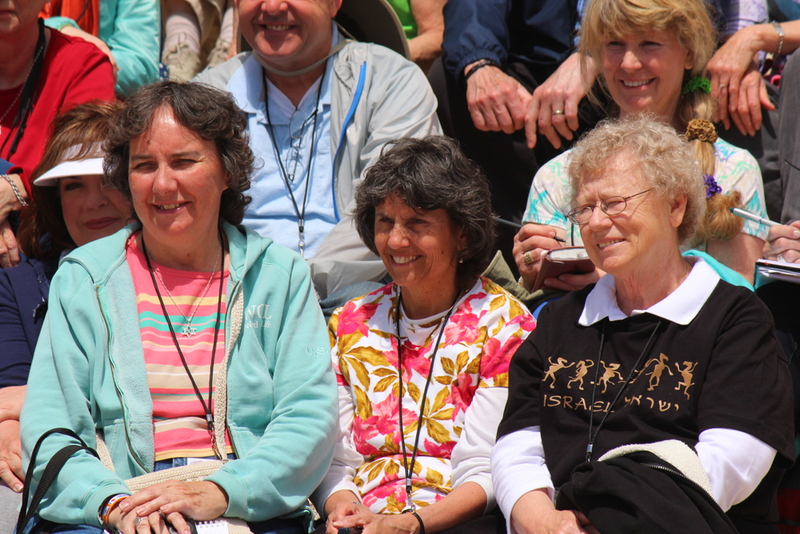 This is perhaps the most important acre of land in all of the world, as it touches both the place of the crucifixion and the resurrection of our Lord Jesus Christ. A British evangelical society now maintains this property and provides a guide for our visit. 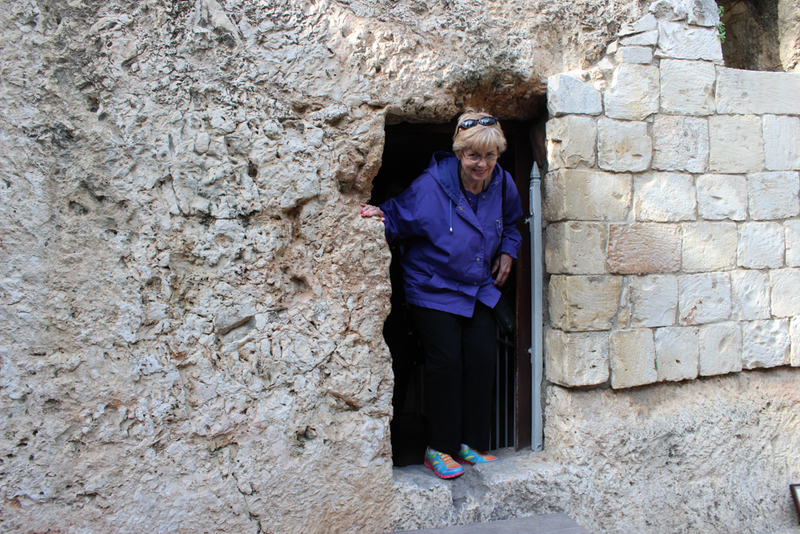 First we visited Golgotha, the place of the skull. We gazed at it over a fence as this famous hill is now in Muslim hands. 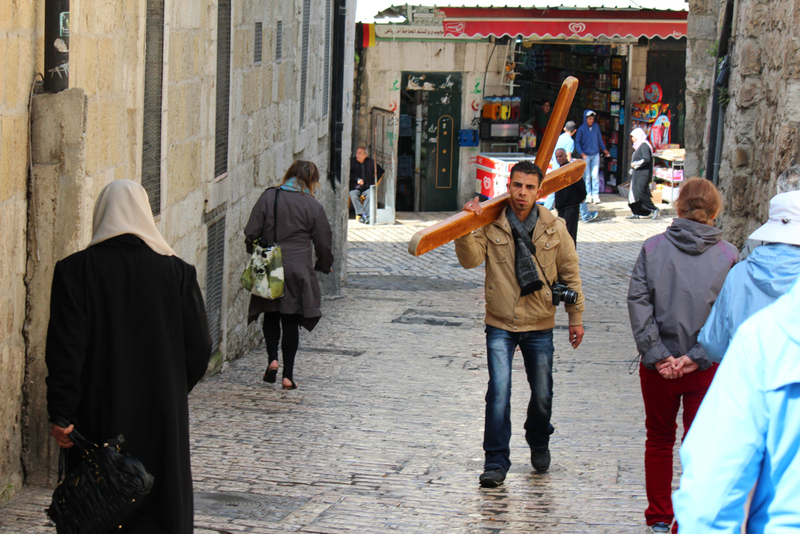 There is a bus station on the grounds of what was most likely the site of the crucifixion. 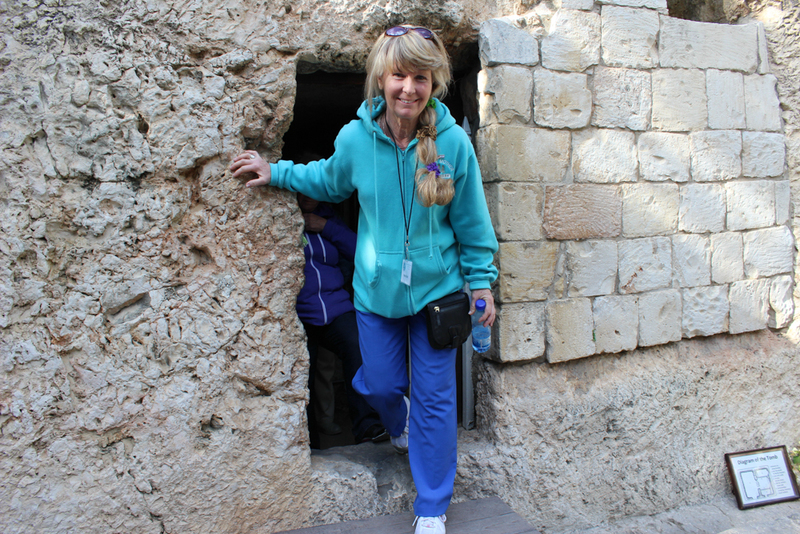 After a short presentation from our guide, we walked through a garden to see what many believe is the tomb of Joseph of Arimathea. 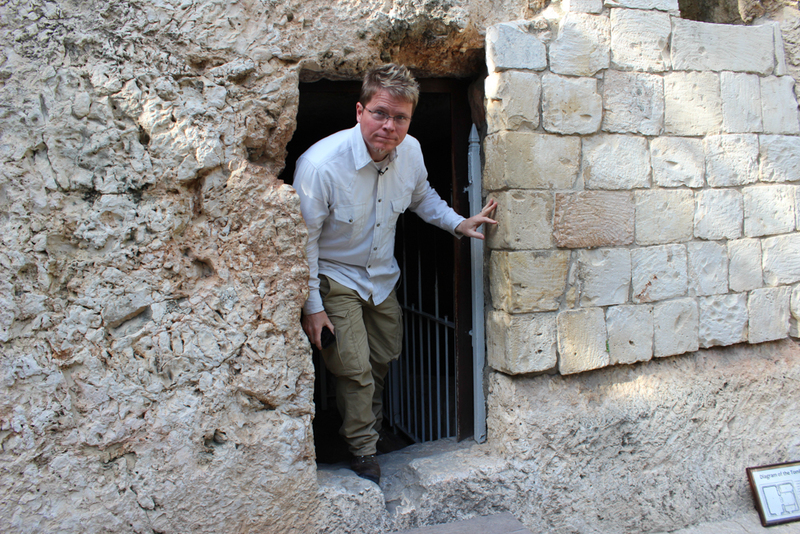 There is much to suggest that this is really the site of the famous “borrowed tomb”. It dates back to the time of Jesus and was carved from solid rock, indicating a rich’s man tomb. 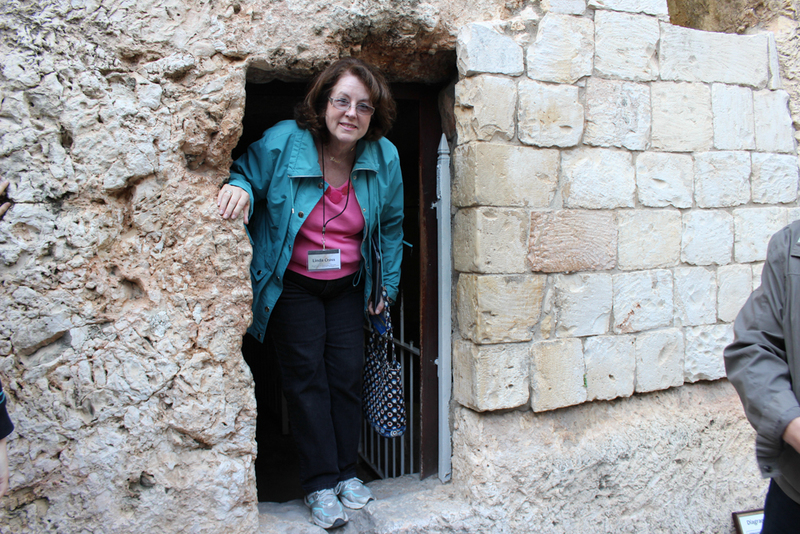 There is a rock cut for a large round stone, and this tomb was in a garden just as the bible described. But the most significant thing about this tomb is that it is empty, there is no evidence that anyone was buried here. 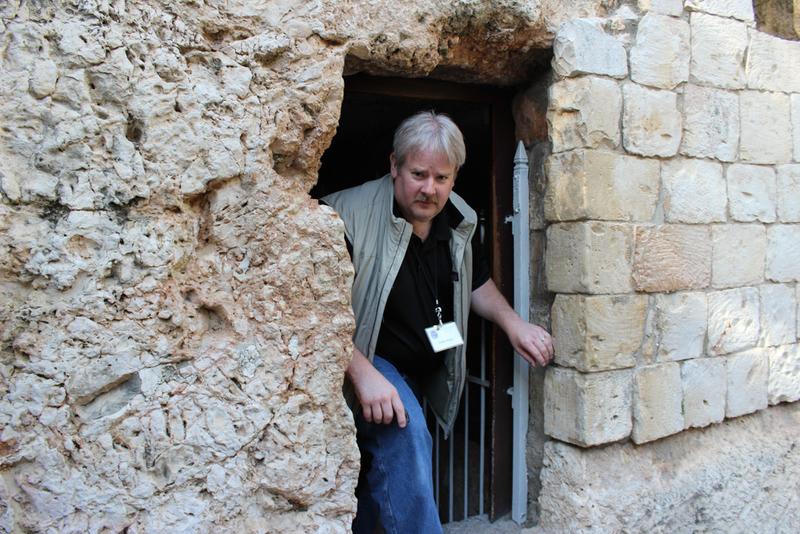 The British Evangelical Society has a sign above the door with the words, “He is not here. 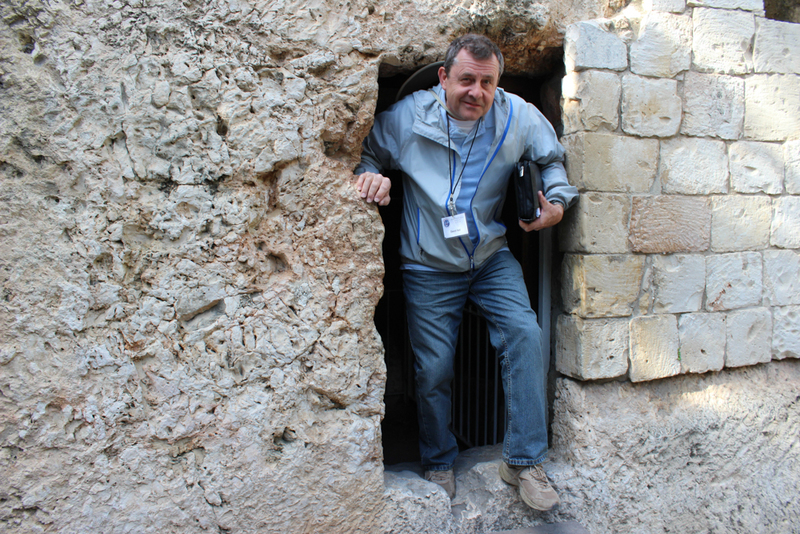 He is risen”. 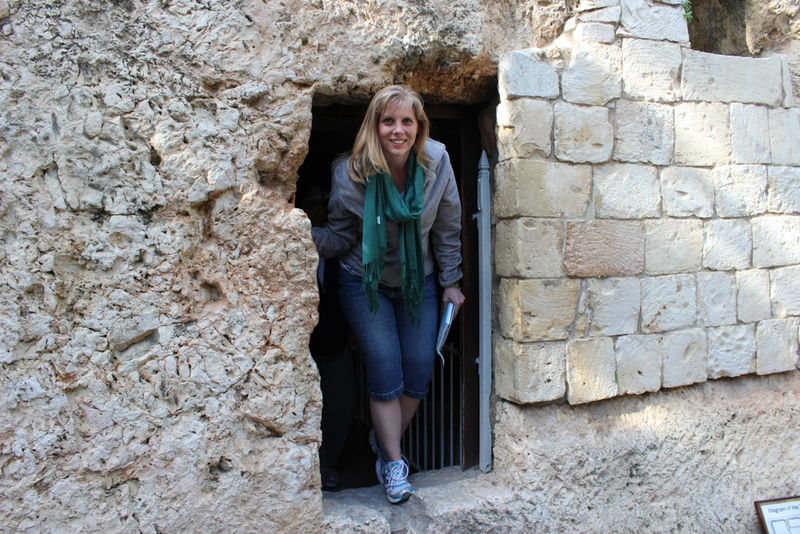 Each of us made our way into the tomb, and returned to the bright sunlight. 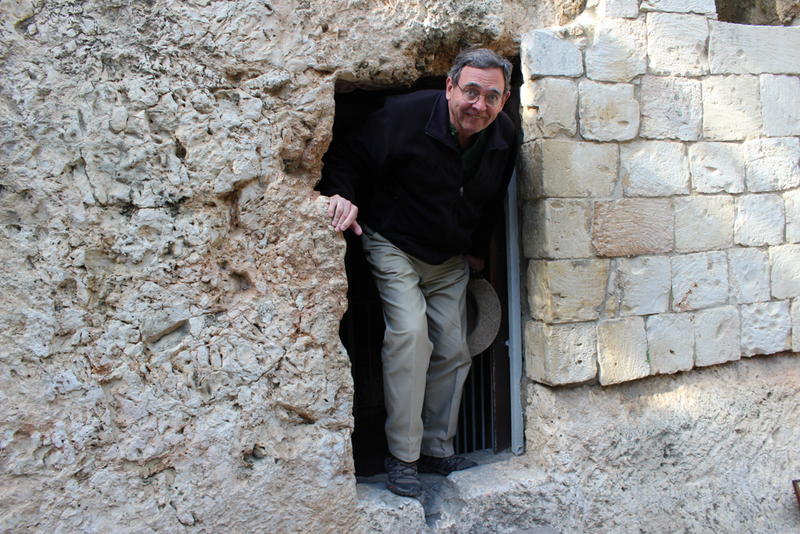 It is comforting to know that because Jesus stepped out of this tomb or one very much like it, we can step out of our graves and enjoy eternal life with our savior. Here death itself was turned back. Here the promises of Jesus are powerfully underlined. Nothing, not even death itself, can separate us from the love of God expressed through Jesus. 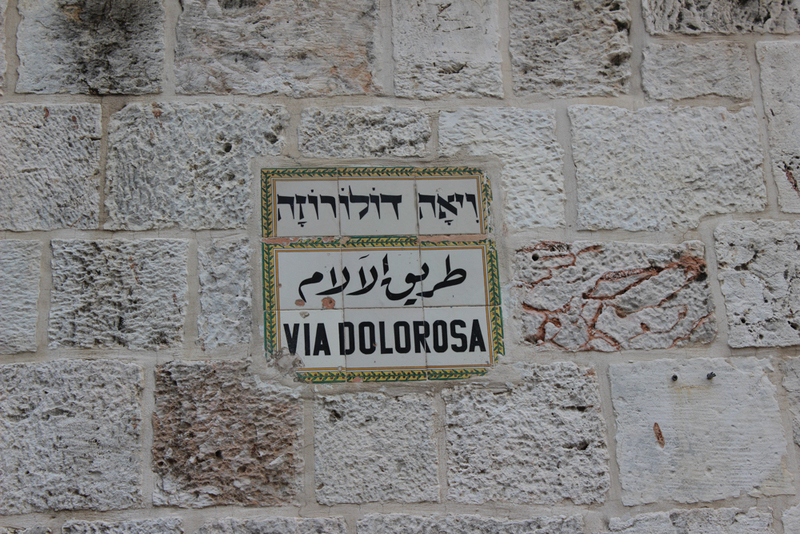 Our journey through Jerusalem has been in the footsteps of Jesus. 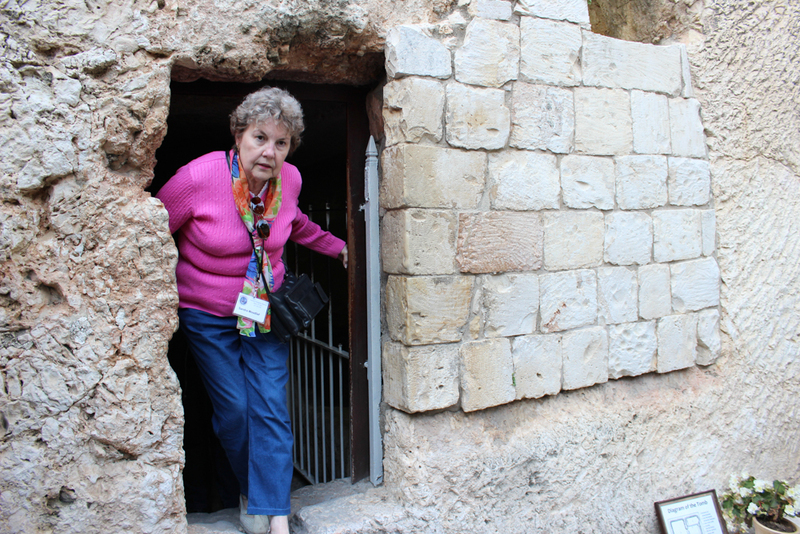 From the Mount of Olives to the house of Caiaphas, from to the Praetorium to Calvary – the end of this path is an empty tomb and the fulfillment of prophecy. God is true to His Word, and we are witness to it as we have traveled though the land of the bible. After our visit to the tomb, we stop to take communion to acknowledge the sacrifice that Jesus made for us as believers. 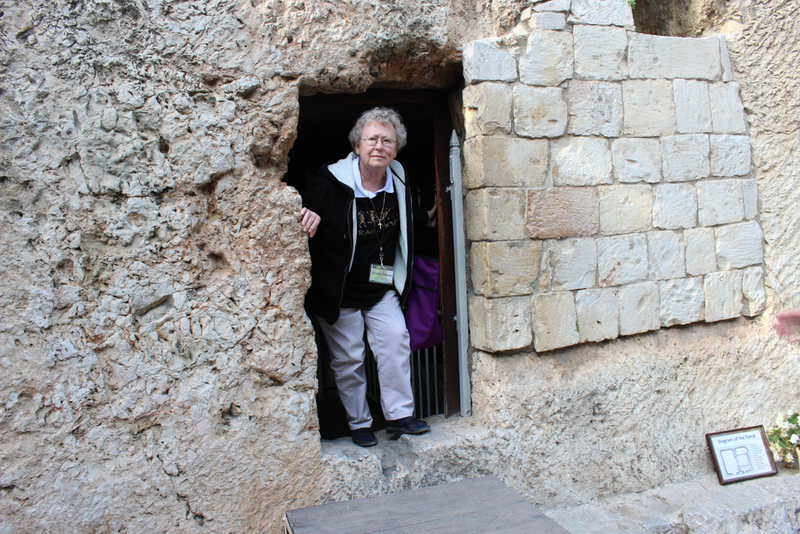 Pastor Ken led us in the observance of the Lord’s Supper, singing as he did on Palm Sunday but this time the setting is the Garden Tomb and the site of the resurrection. We concluded our service with Patsy leading our group with a song of worship. What a special time! 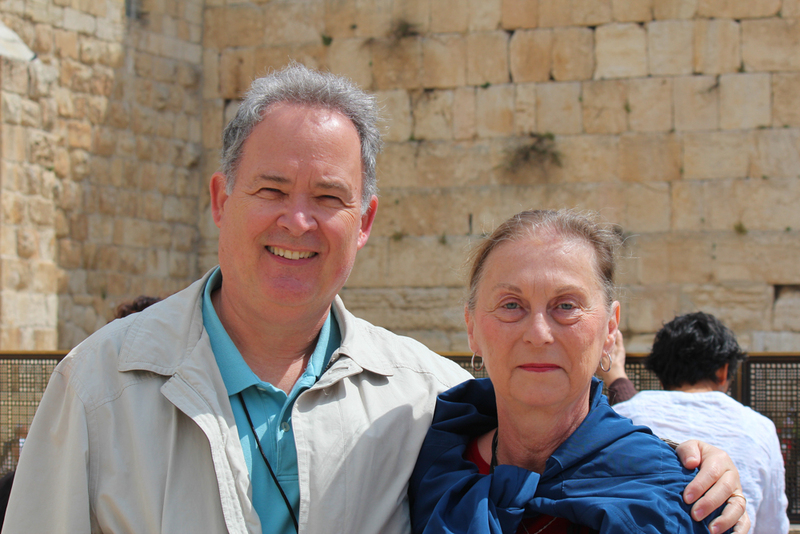 In the evening back at our hotel we held a special commissioning service for two of our friends, Patsy and Rhoni, as they became official Watchmen for Israel. Both completed the educational materials for the Watchman on the Wall and have pledged to pray for and be advocates for the nation of Israel. 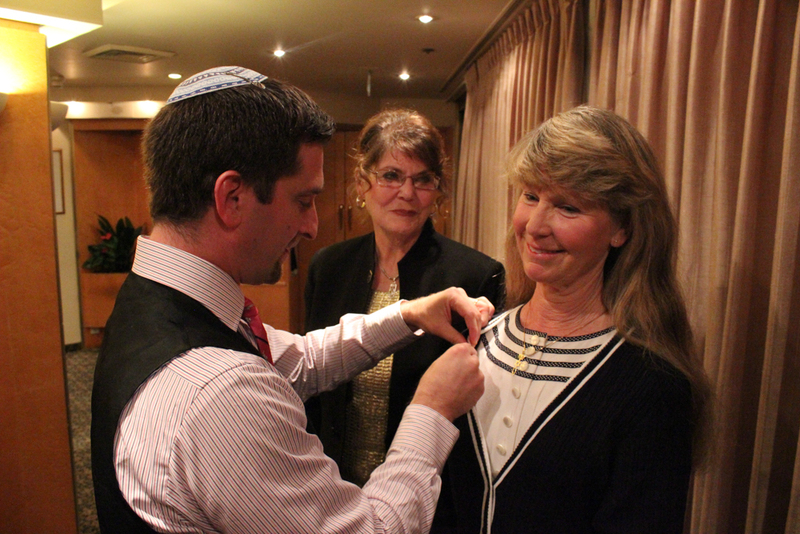 David Nekrutman, Executive Director for The Center for Jewish-Christian Understanding & Cooperation, is one of the writers for the material and presented Patsy and Rhoni with a pin for completing the intense coursework. We’re very proud of them.